i remember as a little girl collecting all sorts of flowers and leaves and stuffing our old school, massive phone books with them. those old phone books were ideal for pressing flowers, as you could fill them with quite a collection and the paper was perfect. plus, at our house anyway we had a huge stack of yellow pages and white pages. redtedart has a great tutorial on how to press flowers. it’s really not hard and you don’t need any special equipment, except maybe some patience as the flowers take a few weeks to press and dry properly. when travelling, i have picked a flower and placed them into the book i have with me. sometimes i have forgotten about them and rediscovered them a while later. what a lovely way to reminisce about an exciting adventure! 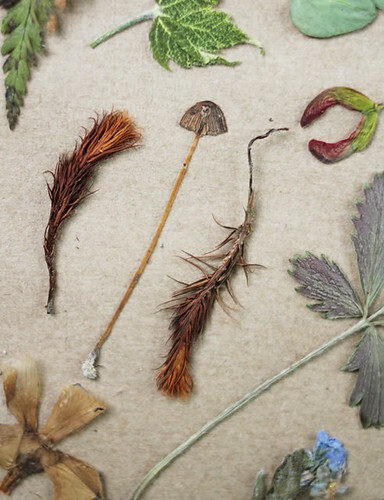 the dainty squid pressed other wonderful natural finds, like mushrooms! go check out more of her beautiful pictures HERE! 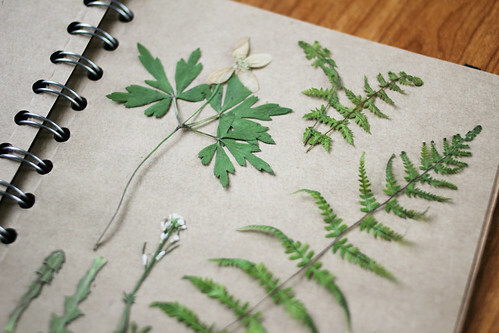 this summer i will get the kids to collect and press a few leaves or flowers from our road trip. once we get back home, we can make something out of them! 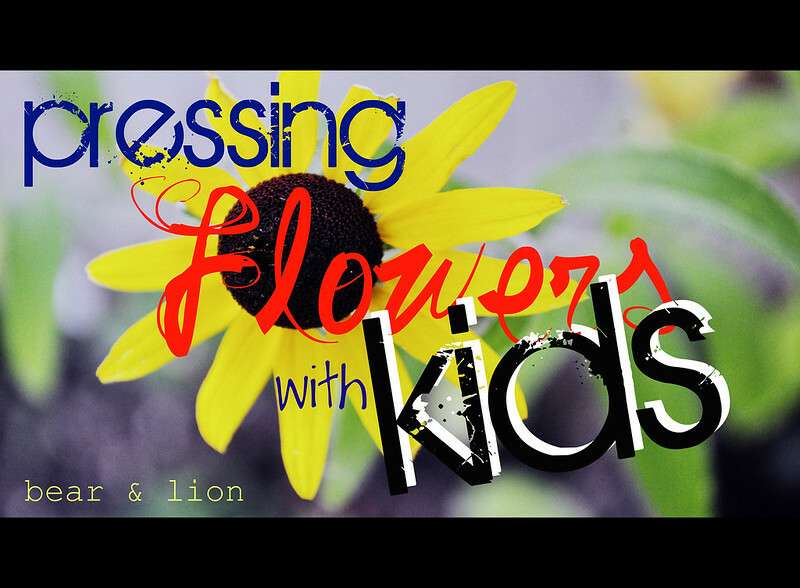 I loved pressing flowers as a child! I excited to (a) have a garden with pressable flowers and (b) see Vivian grow big enough to enjoy this. Thanks for the reminder! I always forget about pressing flowers after the girls return from a walk with many many plant treasures. Loved doing pressing flower projects as a kid! Great idea! Thank you so much for sharing & linking up at Thank You Honey’s Whatever Wednesday Party!! Such a sweet project for the little ones. Gotta tweet and pin this. Have a lovely day! !